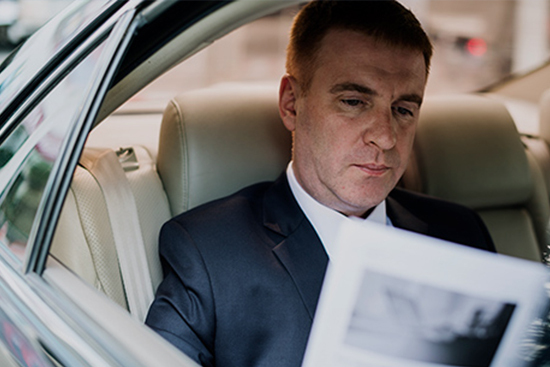 Executive Travel: Any officer who needs to travel often is placed into a tough position when evaluating their time: is it worth being on the road repeatedly if it takes away from highly valuable work hours? If you have a mobile workstation like our LandJet Mercedes Sprinter, the answer becomes a much clearer ‘yes!’, as you are able to accomplish your day-to-day tasks while visiting different job sites, meetings, or prospective new locations. Complete with computers, beds, closets, and any other amenity you can imagine, these vehicles are designed for a CEO on the go! Recruiting: If your industry has highly competitive positions and hiring practices, then taking care of your candidates is a must. 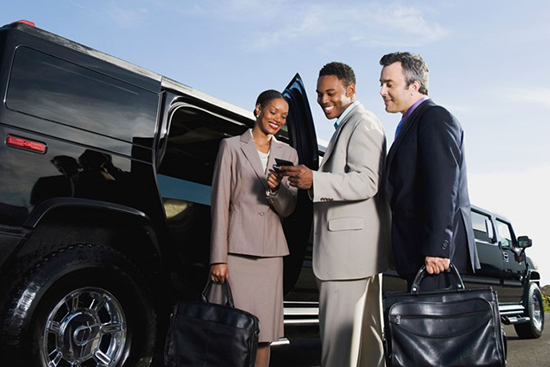 Black car service at the airport is a nice touch to kick off a relationship if they are flying in, and chauffeured meals help solidify any growing relationship. If your company has multiple job sites, it is also a good practice to provide an easy way to get back and forth for new hires touring facilities. VIP Guests: The bread-and-butter of your business’s social calendar, these guests can be key clients, executives from other businesses, or influencers in your industry. Regardless of who they are, they need to be wowed from front to back. 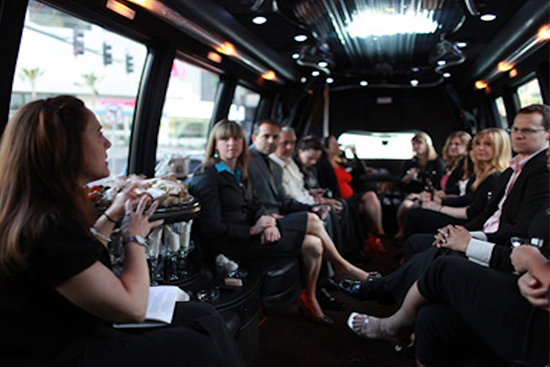 Providing a limousine bus for large groups or Mercedes Sprinter-style vehicles for smaller and more intimate gatherings is a great way to get their visit started right. Company Outings: Culture is key for any business location, whether it’s a startup or one branch of a multi-national corporation. Part of building that culture is making sure your company events go smoothly, and that includes providing safe and free transportation for your employees. A charter bus is a great way to get everyone in the same environment together and allow for your employees to relax and not have to deal with the logistics of designating a driver, parking, and using their own resources to get to a company outing. Campus Shuttles: Part of taking the next step in a being a mid-size or big business is acquiring properties that have multiple offices and many different divisions. Campus shuttles help with the navigation of these offices, and have the flexibility to give employees rides to meetings, airports, and to complete errands. Once you have this amenity, you’ll never go back—the stress relief of knowing you always have a ride is worth the cost alone! 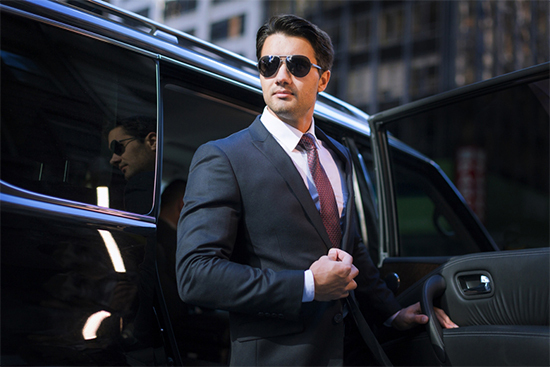 As you can see, there are many different dynamics to corporate transportation; we only covered 5 key ones! What’s most important is that you are always looking out for safety, reliability, and value when hiring professional transportation. Check out Obsidian Luxury Services’ full suite of vehicle options and professional services before chartering your next ride! SLO Safe Ride is a ground transportation operator servicing San Luis Obispo, Paso Robles, and the entire Central Coast. We specialize in weddings, wine tours, nightlife, and luxury charters. Our outstanding customer service emphasizes professionalism, punctuality, and attention to detail. We pride ourselves on creating unique experiences for any occasion, and are always willing to go the extra mile. Most importantly, we offer a responsible choice 24/7 for anyone looking to enjoy their life in comfort and style!